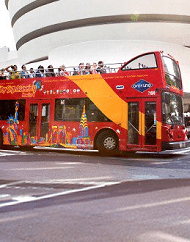 See NYC Landmarks on The Coolest Bus in Town! Re-live amazing moments from Lower Manhattan’s history with the magic of Timelooper virtual reality headsets! 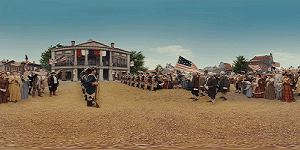 Famous moments in US history become the backdrop with location-based videos. 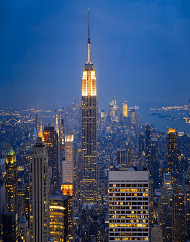 A brand new multimedia historical adventure exploring Downtown Manhattan’s most notable landmarks and neighborhoods. 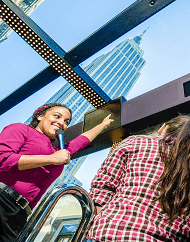 Featuring some of THE RIDE’s signature performance interludes and enhanced with the advanced technology of Timelooper, THE DOWNTOWN EXPERIENCE allows visitors to travel back in time and relive iconic historical moments. 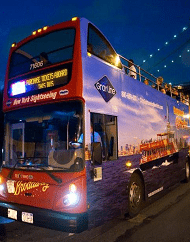 Using the same luxury buses as THE RIDE and THE TOUR, you’ll tour Downtown Manhattan in a completely new way on our multi-million dollar vehicles with theatre-style, side facing seating and floor-to-ceiling glass windows offering panoramic views! 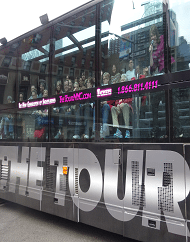 THE DOWNTOWN EXPERIENCE is the first sightseeing tour to incorporate a fully-integrated virtual reality experience! Sit comfortably and enjoy fun, original and informative music and video pieces that support our Storyteller’s deeply researched historical narrative of Downtown Manhattan and its rich and diverse history from its earliest inhabitants to its rebirth and revitalization after September 11th, 2011. At certain key moments throughout the journey, the storyteller will ask the audience to put on their virtual reality headsets. 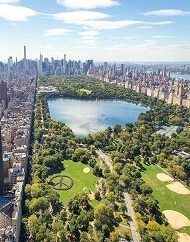 You’ll witness full-scale, 360 degree reenactments of some of New York City’s most iconic moments as if you’ve traveled back in time. Be among the first to experience this brand new show! 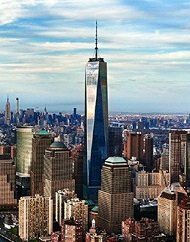 Locations and iconic landmarks include: South Street Seaport, Brooklyn Bridge, Governor’s Island, Battery Park, New York Harbor plus Ellis Island and the Statue of Liberty, Battery Park City, 9/11 Memorial, One World Trade Center & One World Observatory, China Town, Wall Street, Federal Hall and more! After purchase, you will receive an email receipt confirming your reservation. 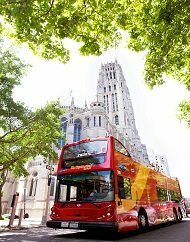 An additional confirmation email will follow with your voucher, which must be printed and presented to board the bus, as well as the contact number for your tour provider. 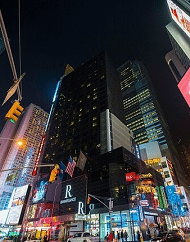 If you have any questions, please call our friendly Travel Concierge at 844-868-7392. Contact THE RIDE at least 24 hours prior to your tour date to confirm your seats and show time. 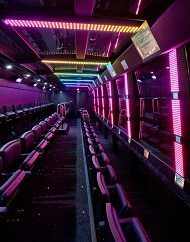 Guests who do not exchange their voucher for a ticket to board the bus will not be eligible for any credit or refund. THE RIDE asks that you arrive at least 30 minutes prior to your scheduled tour. Bring your voucher to the box office located Inside the Gift Shop at 584 8th Ave (between 38th & 39th St), across the street from the Holiday Inn. 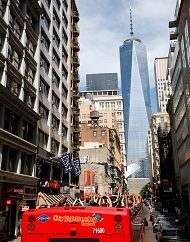 All tours depart promptly from the 46th St & Broadway location. Please note: THE RIDE is not wheelchair accessible, guests will need to ascend stairs to enter. 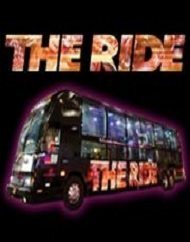 THE RIDE will be operating at limited availability during the month of December 2017, January and February 2018.